The ATS brand has established itself internationally with Apparel Textile Sourcing Canada, held every August in Toronto. In 2017 the event grew by more than 50% in attendees and international exhibits. The same formula of success is the basis for ATS-Miami. Next to the hundreds of manufacturers’ booths and exhibits, ATS-Miami will deliver 3-days-worth of an unprecedented platform of global connections in manufacturing and fashion. Attendees will gain new insights and information to best navigate and profit in the international sourcing process Featured focus on Manufacturer Transparency, Speed & Responsiveness + benefits of Near Sourcing Americas “The expansion of the ATS Brand to Miami is a direct response to the market demand and fills a significant gap for the US-&-Latin American markets,” said Jason Prescott, CEO of JP Communications, organizer of the event and parent-company to TopTenWholesale.com and Manufacturer.com, the most expansive network of business-to-business sourcing platforms in the U.S. Millions of international members use these brands to locate wholesalers and manufacturers. “ATS-Miami provides a unique opportunity for apparel and textile importers and retailers to intersect and access the most current importing information from the top industry insiders. Imagine the time and money saved for the local and Latin importers. The producers are coming from Asia to Miami,” Prescott said, emphasizing that China alone exports $42 billion in apparel a year to the US and $11 billion a year to Latin America. ATS-M will feature three days-worth of seminars, panels and runway shows featuring acclaimed industry and government experts, covering topics from trade agreements to best practices with an eye on the changing Latin American market, as well as tips on how to choose overseas producers, plus new approaches on succeeding in the U.S. market. 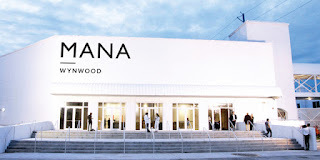 A “Made in USA” Pavilion, showcasing US-based manufacturers who source apparel and textiles from abroad for their finished goods, as well as US designers who have their designs produced into finished products overseas. The Americas Pavilion featuring products from Mexico, Guatemala, Honduras, Ecuador, Nicaragua, El Salvador, and more. A Summer 2018 Apparel and Textile Trends display, providing a first-hand look at the colors, patterns and textures that will be all the rage for the summer nights in Miami. For more information or to register for Apparel Textile Sourcing Miami, visit www.appareltextilesourcing.com. Registration – which includes entrance to both the exhibits and conference sessions – is free of charge. JP Communications INC (JPC INC) is the parent company to the Apparel Textile Sourcing Tradeshows (ATS) which include Apparel Textile Sourcing Canada (ATS-C) and Apparel Textile Sourcing Miami (ATS-M). JPC INC is also the publisher of TopTenWholesale.com and Manufacturer.com, with millions of members from around the world using these brands to locate wholesalers and manufacturers. Jason Prescott, CEO, is the author of two best-selling books: Wholesale 101 and Retail 101, published by McGraw Hill. The largest Chamber of Commerce in the Chinese textile and apparel industry, the CCCT has more than 12,000 member companies, representing more than 70 percent of total textile and garment exports every year. The CCCT sponsors textile and apparel shows around the world, including the China Textile & Clothing Expo. Currently developing a 10 Million Square Foot Trade Hub in the Wynwood neighborhood of Miami to facilitate trade, across all verticals, between Asia and the Western Hemisphere. This is an ideal location with world-class trade, trans-shipment, transportation and business-friendly environment and includes millions of square feet of showrooms and Class-A offices for global corporations specifically serving the creative industries of fashion, technology, and entertainment.. The facility will also bring together businesses, legal, and banking in one convenient location, providing the physical infrastructure for the digital economy.